Christmas is coming and with it comes the joy of giving and sharing. Already in full swing of preparations, the four Lions Clubs countrywide have begun organizing their annual activities. As Lions they thrive in the love of gift and continue to do so as the years go by. This week, we present an individual who has formed part of the country’s lions and continues to be present in all activities, meetings and has served in the various posts within the club – Dr. Chris Bennett. Lion Dr. Chris Bennett was born in Belize City on April 19th, 1943. Lion Bennett attended Salvation Army Elementary School in Belize City and then Belize Technical College. He earned a Degree in Dental Surgery from the Royal Dental Hospital at the University of London, England and received his license to practice Dental Surgery in England, in 1973. Two years later, he received a scholarship naming him a British Commonwealth Fellow which enabled him to return to London where he pursued a Postgraduate Degree in Public Health Dentistry through the Royal College of Surgeons in England. He then successfully completed his postgraduate course in Oral Surgery at the Nihon University, School of Medicine in Tokyo, Japan. He has served as both a dental consultant for the United States Peace Corp and the Pan American and World Health Organization, PAHO/WHO in Belize. Dr. Bennett was employed in the Dental Department of the Ministry of Health for 25 years. 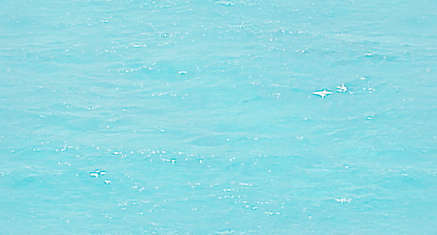 He retired as Chief Dental Officer in 1998 and now maintains a full-time private dental practice in Belize City. During his years of service with the Government of Belize he championed the cause of Dental Health Education and Dental Disease Prevention programs throughout Belize and organized a number of successful Annual Dental Health Weeks. He was instrumental in drafting the first National Oral Health Plan for Belize in 1986 and initiated the National Salt Fluoridation Program. As a member of an international dental team, he completed a long-term clinical study on how a specific kind of chewing gum (Xylitol) prevented tooth decay and gum disease. His research was subsequently published in a number of international dental journals. Throughout his marriage to wife/Lion Irma and being the father of three children, Lion Dr. Chris Bennett has found time to demonstrate the Lions Motto “We Serve”. He has continuously volunteered his time, skills and energy to activities promoting the medical and dental professions. He served as President of the Belize Medical and Dental Association (BMDA) and received their “Honored Member Award” for outstanding and dedicated service to the BMDA and the Belizean community in 1994 and 2000. He has served as Chairman of the Belize Medical Council and President of the Belize Dental Society, and was the Convention Chairman for the 9th Caribbean-Atlantic Regional Dental Association’s (CARDA) Biennial Convention, held in Belize in 1997. He is presently an Executive Member of CARDA and was appointed to the Ministry of Health’s National Health Reform Committee. Lion Dr. Chris Bennett has also acted as the Secretary General of the Belize Jaycees and as President of the Belize/Michigan Partners of the Americas for a number of years. 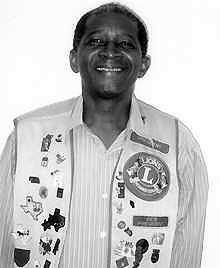 In 1989, Dr. Bennett joined the Belize City Lions Club. He has served the club in a variety of capacities, rising to the position of President in 1996. He received the 100% President’s Award from Lions International, as well as several awards from the National Belize Lions District 59 and the Belize City Lions Club. In recognition of his active role in the national organization, Dr. Bennett was elected to the highest post of Lionism in Belize, Belize Lions Zone 59 Chairman, in June of 2000.